Renault India has announced a hike in the prices of the Renault Pulse Diesel hatchback In India effective from 8th March 2012. This price hike has been done in the wake of rising input costs in past few months. The price hike is 2% of the Introductory price of Rs. 5.77 Lakhs at which it was launched in India at the Auto Expo 2012. 2% increase translated to a hike of Rs. 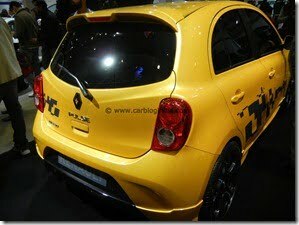 11,500 on the Renault Pulse RxL which will now cost Rs. 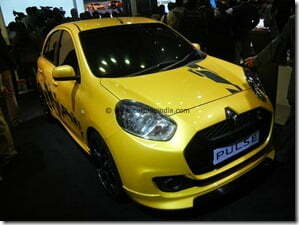 5.89 Lakhs ex-showroom Delhi and the top end Renault Pulse RxZ model which will now cost Rs. 6.38 lakhs ex-showroom Delhi which was launched at Rs. 6.25 Lakhs. “the Pulse has been received very well by our customers and we have received a large number of enquiries from potential customers. The Pulse represents the aspirations and needs of present day customers and comes loaded with features which provide an extremely good value for money proposition. In the face of rising input cost we have now no option but to pass on a part of the cost to our customers although the Pulse still remains as one of the most competitive in its segment on all features including the price”. The Pulse epitomizes Renault’s philosophy of bringing affordable cars with innovative technology and design. The Pulse comes equipped with the new K9K CRDI Diesel engine that ranks among the best-in-class in terms of fuel consumption and performance (according to ARAI test data the Pulse achieves 23.02KPL). 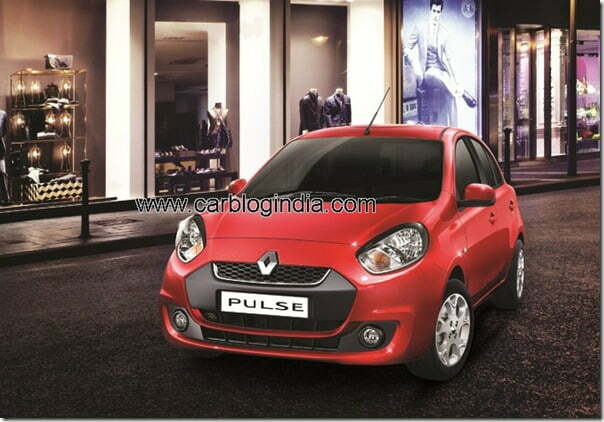 The Pulse is manufactured in the Renault Nissan Alliance factory located in Oragadam on the outskirts of Chennai. The Pulse is sold in the Indian market with a 1.5 litre, dCi (diesel) engine which churns out 64 PS as peak power. The Pulse is available in two trims, the base RxL and the range topping RxZ which offers the options of dual airbags adding to both driver and passenger safety, illuminated start/stop button, lock and unlock sensing folding outside rear view mirrors, automatic climate control, smart access key, leather wrapped steering wheel and gear knob, rear defogger with timer, roof spoiler and front fog lamps. The price increase will be effective from March 8, 2012 across all Renault dealerships. Currently Renault has 41 dealers pan India.